Nespresso Pixie Vs Essenza Mini: Which Tiny Maker Is Best For Your Kitchen Counter? The Nespresso brand is one that many espressos lovers turn to as an alternative to more complicated and expensive standard espresso machines. 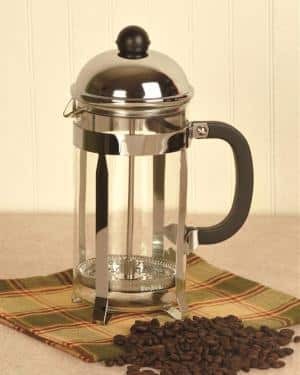 These machines offer a fantastic way to make delicious espresso beverages at home, saving you money over frequent coffee shop trips but they cost a fraction of the price of automatic espresso machines and are dead simple to use. 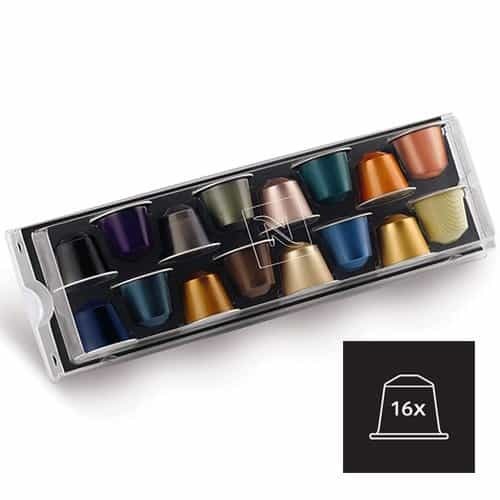 Another benefit that customers love about Nespresso is the compact options available through the brand. These things actually fit in regular people’s kitchens! They are short and narrow and take up minimal counter space. 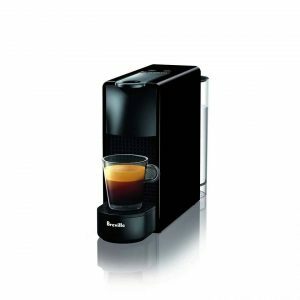 Two popular options in recent years have been the time-tested Nespresso Pixie and the newer model, and much more affordable, Essenza Mini. Around here we like to recommend people opt for the Essenza due to it’s lower price point, smaller form, and for the ease of operation. We simply feel it’s made with a better design. Click here to see Essenza Mini pricing on Amazon. While these machines are quite similar, there are some differences in the models such as price, extra features, reservoir size and available colors. These features can really play a large part when it comes to deciding which is the right option for you. Continue on to learn more about these fantastic machines! Between these two compact devices, the Pixie is the less compact. However, it is still a small, lightweight device that will be able to provide delicious espresso drinks. There are a few additions that also add into the slightly larger size. One of these added benefits is the built-in milk frother, which is an important tool for those who want to make espresso drink variations. It’s also able to pump hot water at 19 bars, which is going to help with creating higher-quality drinks. Furthermore, keep in mind that this is part of the Original line, meaning that it won’t be able to make standard kinds of coffee like some of the newer models can. However, it’s excellent if you love your daily dose of espresso! In addition, there’s another added benefit in that it’s able to alert you when the water in the reservoir is too low. Allows you to control the strength of the resulting drink. Crema from this machine is delicious. This model is on the expensive side. Only makes espresso drinks, not coffees. One of the aspects that users love about Nespresso machines is that they are able to heat up and brew quickly. You’ll also be able to control the strength of your drink, allowing you to adjust it to the taste you prefer. It is important to keep in mind that the Pixie is one of the more expensive options when it comes to the compact Nespresso machines, but it backs up the cost with some really great benefits. Also, this isn’t the machine to look into if you want standard types of coffee as well as espresso drinks. Many do find that the espressos made with the Pixie are delicious, and the crema is especially so! Like the Pixie, the Essenza Mini is a compact device. The Essenza Mini is the lighter and more compact between the two, which is really great for those who don’t have a lot of space or who want to take their Nespresso machine on the go. 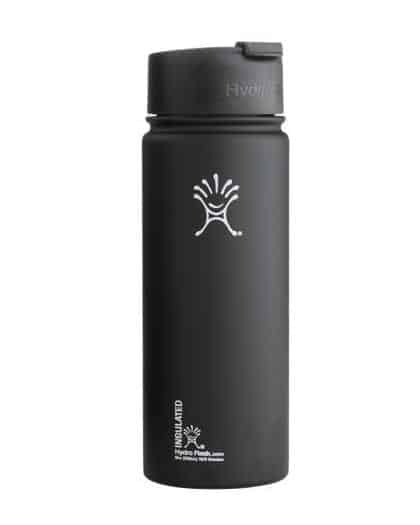 It does have a smaller water tank, at about 20.3oz. 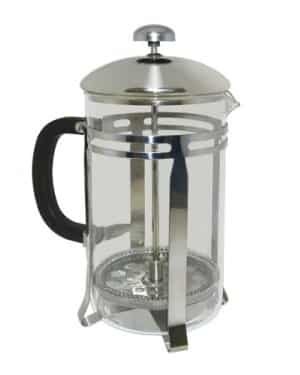 This should work well for most espresso beverages, but will require you to fill the device more often. 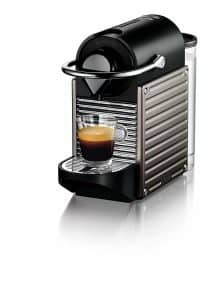 As can be expected from many Nespresso machines, the Essenza Mini also heats up quickly and uses a 19-bar pump to ensure you get delicious espresso beverages as a result. You can also expect both machines to use Nespresso capsules, which can be somewhat limiting. However, if you’re a fan of these capsules then it will make things quick, clean and easy during the brewing process. Do keep in mind that the Essenza Mini doesn’t have a built-in milk frother, so you’ll need to get one separately if you want it. Like the Pixie, it’s also able to make two different espresso sizes and allows you to adjust the strength of your beverage. Less costly than other models. Quick to heat up and brew. Offers some convenient color options. 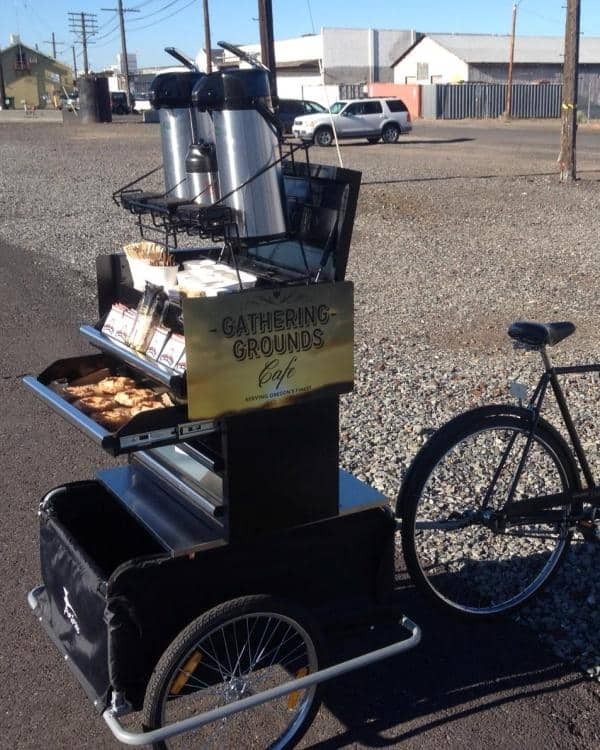 Capable of creating delicious brews. Doesn’t include a drip collector. The Essenza Mini is the ideal option for those who want the most compact device available that can still provide Nespresso quality. It’s easy to clean and easy to travel with if need be. However, this device does lack a few of the beneficial features that you see with the Pixie. If those features aren’t a big deal to you and you’d prefer to pay less, this is still a great option! You can expect the same high-quality espresso drinks from both machines, so you won’t have to sacrifice quality for the lower cost! Do keep in mind that the brewing process can be slightly messier due to the absence of a drip tray. For those who are on a tighter budget, it’s important to consider that there is a pretty big difference in the prices of these two machines. Typically, you can find the Essenza Mini for around $110, but the prices can vary a little depending on the color you want or where you look. This is going to be the less costly between the two options, which makes it great for those who don’t want to break the bank on a new espresso machine. Meanwhile, the Pixie is going to be a little more costly and can be found for around $170. Of course, there are some differences in the features that lead to these different pricing tiers. What is nice to know is that if you prefer the slightly larger option, it’s not going to be an immense increase in cost over the Essenza Mini. 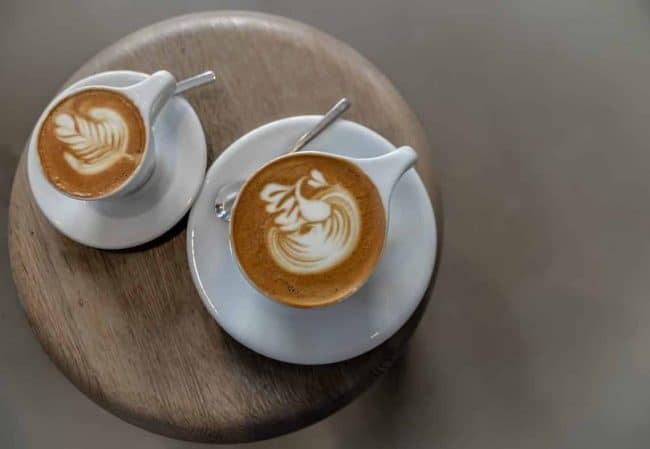 You will also want to keep in mind that both machines will use Nespresso capsules, which can be more costly than standard types of coffee grounds available. Because of that, you’ll want to make sure you’ve budgeted for the cost of the capsules as well as the price of the machines. If you’re keen on saving on the capsules, there are some reusable Nespresso filter options that you can look into. 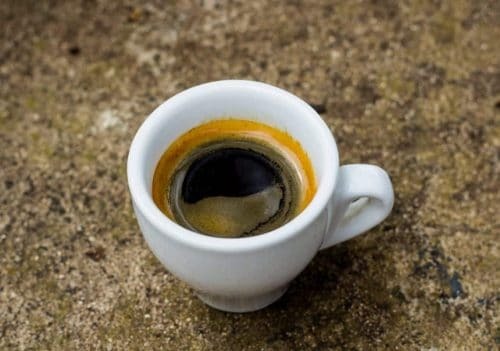 However, keep in mind that you’ll have to pay a little more attention to the kind of coffee you use to ensure it will still allow the machine to make high-quality espresso beverages. When deciding between these two fantastic machines, it’s a good idea to think about the features you want most. Is the build important to you? Are you okay with a machine that has a plastic exterior or would you prefer more metal? Would you be okay with purchasing a milk frother by itself or is it important to you that it be attached to the device? These things are going to be important to keep in mind as you shop so that you can end up with a Nespresso model that you’re happy with. 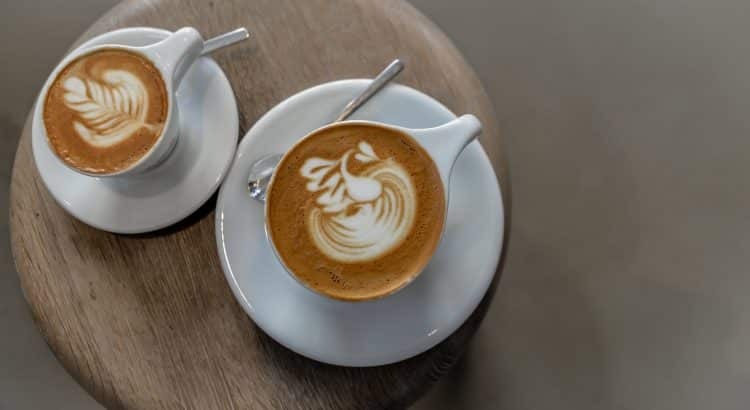 Keep in mind that the Essenza Mini is smaller, more portable and less costly, but doesn’t include a milk frother and has a slightly smaller water reservoir. The outside is also largely made of plastic, which does allow you to choose from a few different colors. Meanwhile, the Pixie is a little larger and contains some metal to the design. The Pixie the more expensive of the two, but includes a milk frother and water reservoir that sits at about 24ozs as opposed to the 20oz that the Essenza Mini provides. That decision is going to be one that is purely up to you. Once you’ve taken a look at both models and what they have to offer, make sure to look at the available capsules as well to get an idea of the flavors and costs available. 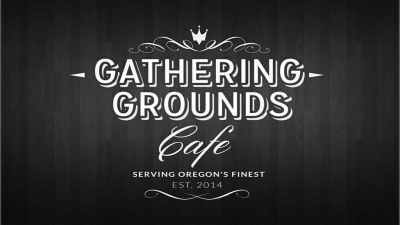 There are truly a lot of options out there that can help you with making the perfect espresso beverages. Make sure to take your time to consider the idea option, so that you’ll be more likely to end up with the perfect fit in your home. You may just find that once you’ve tried out a Nespresso machine, you never want to use anything else!